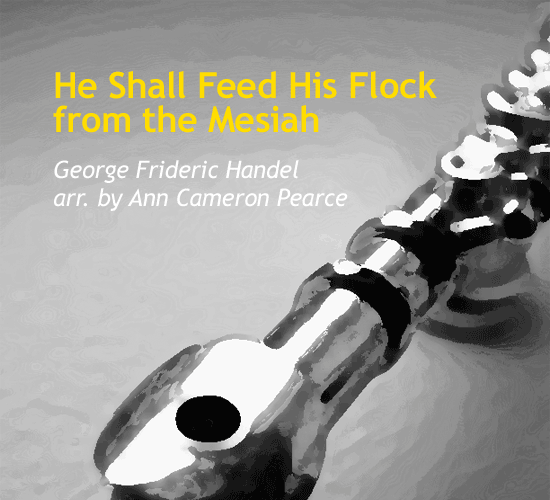 1741 is the year that George Frideric Handel composed one of the most well known pieces of Western civilization, the Messiah. 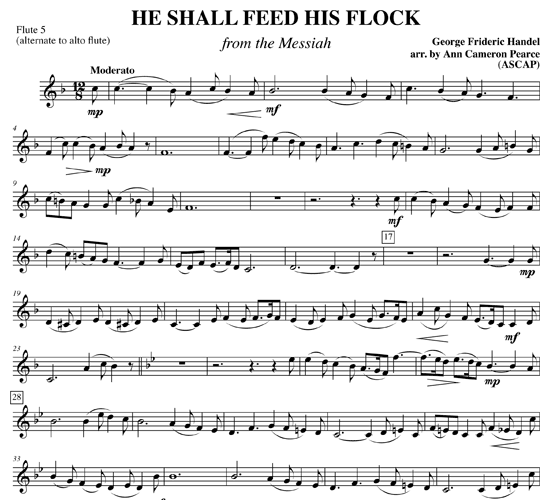 After an initially modest public reception, this oratorio gained in popularity such that it is performed in both sacred and secular settings year after year. 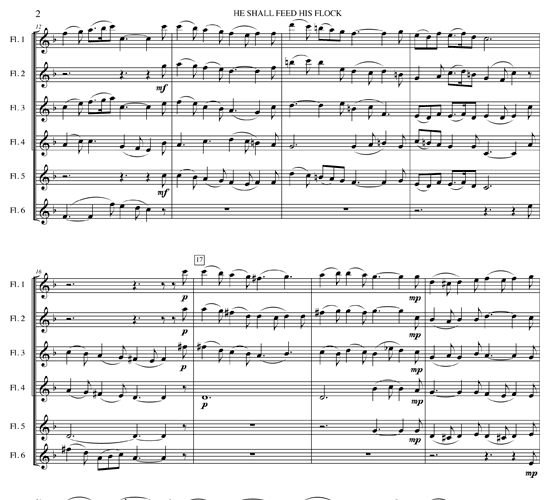 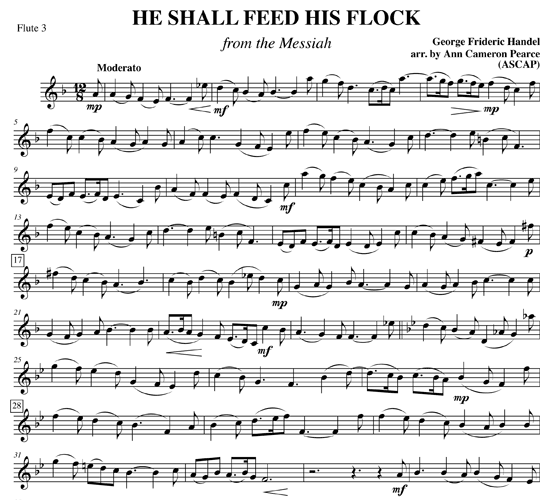 Handel completed the Messiah in only 24 days of swift composing, rounding the score out to 259 pages. 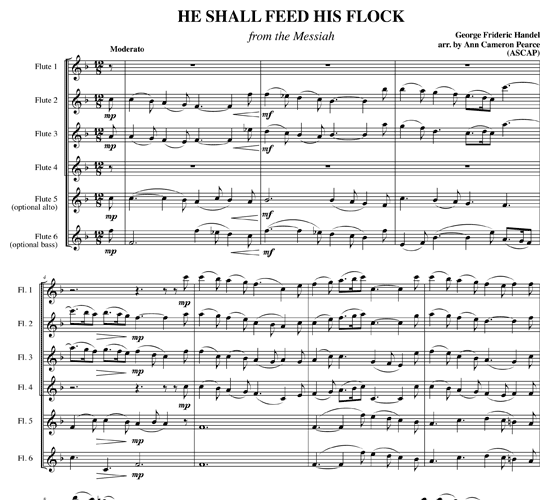 As movement 20 of this masterful work, He Shall Feed His Flock is a gentle and flowing aria that is both simple and beautiful at the same time. 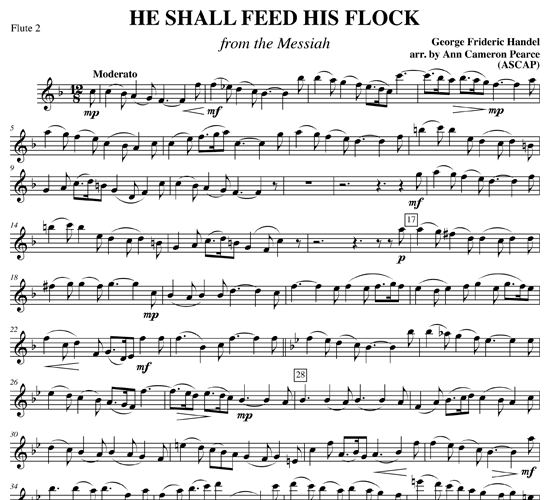 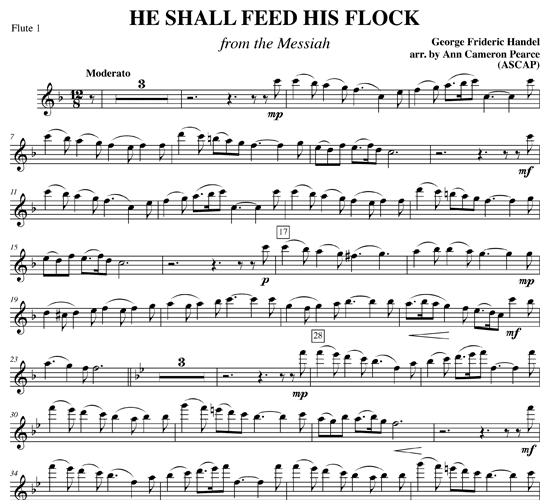 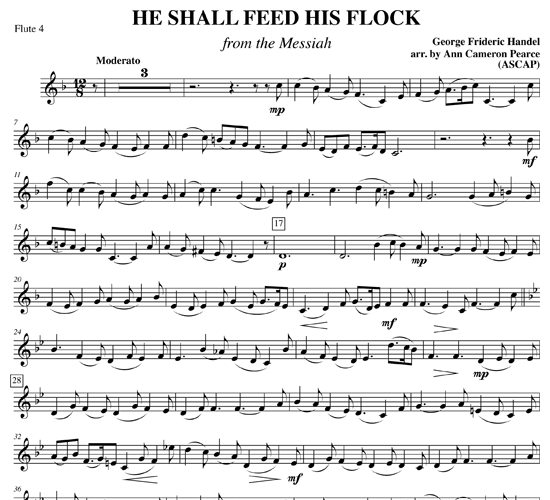 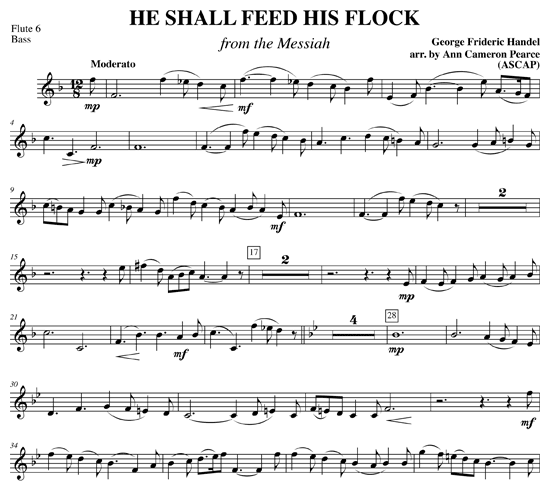 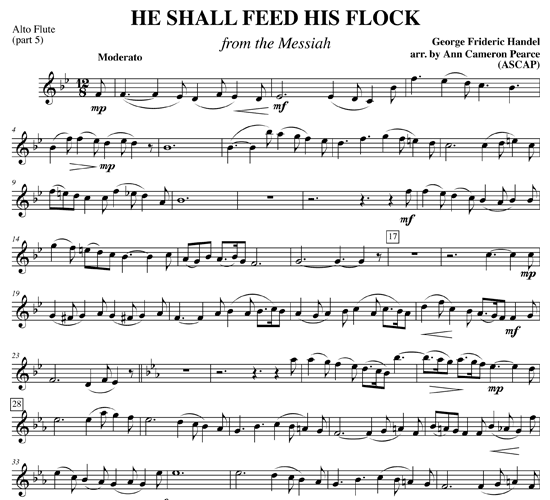 /wp-content/uploads/2013/04/mp3-he-shall-feed-his-flock-by-ann-cameron-pearce.mp3Performed by an automated synthesizer.